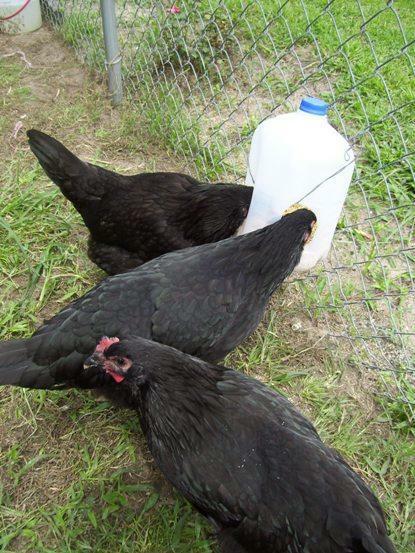 I found some young little hens advertised on Craigslist that were in need of a home , so I just had to go & get them. I have been having so much fun! It has been years since I had some chickens & this is turning out to be a great little project/hobby to do with my Grandpa (he is 83 years young). 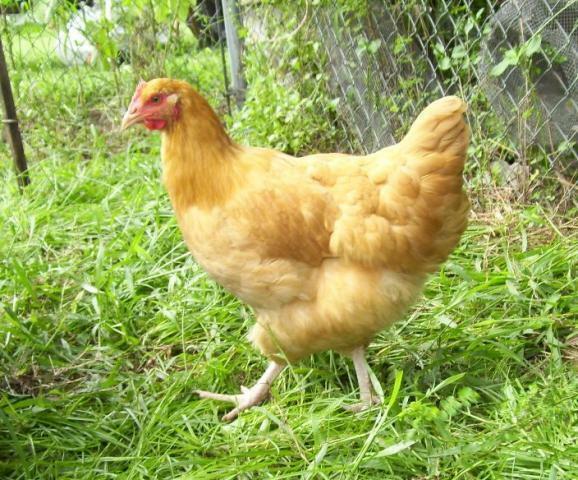 Years ago, He bought me my first little chicks from the farmers market & I have loved chickens since. Grandpa grew up on a farm in south Georgia, so they bring back a lot of good memories for him. 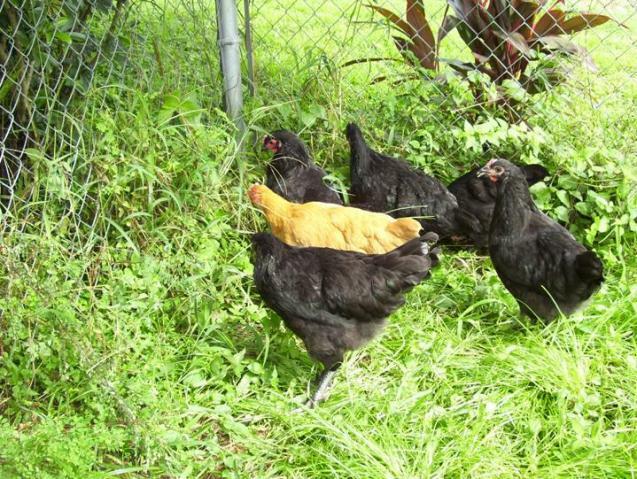 My Little Buff Orpington & Black Jersey Giants (4 Months Old) looking for bugs in the tasty green grass. 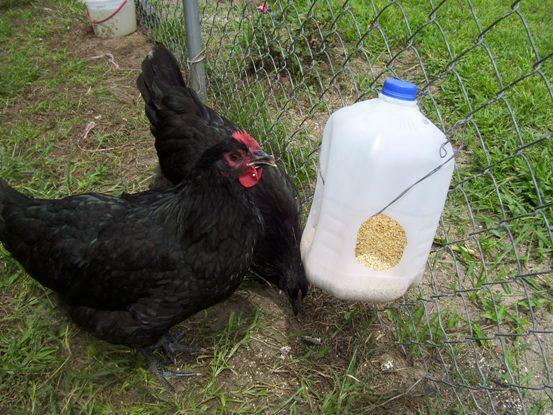 My hens liked the milk jug feeder idea.